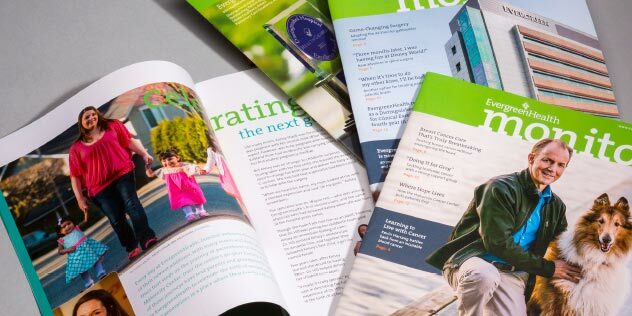 As part of EvergreenHealth’s ongoing mission to enrich the health and well being of their surrounding community, the Monitor is published quarterly and distributed to all households in the hospital’s district. Partnering with EvergreenHealth’s patients to improve their health, this magazine provides knowledge to help them find solutions to achieve their healthiest best. Through special topic feature articles, program updates, health classes and more, the Monitor is a valuable health resource for the EvergreenHealth community. 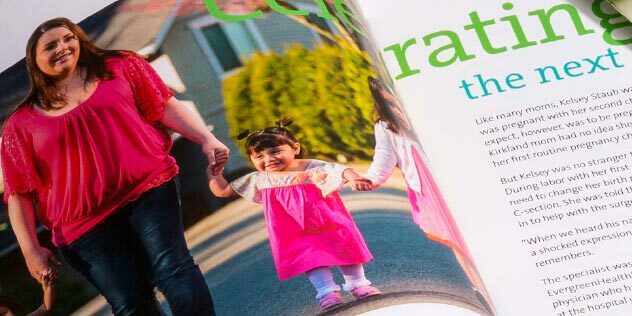 Throughout many issues with various themes, we have worked with many departments at EvergreenHealth to play a key role in the design and photography of this publication. ARSCENTIA—Copyright 2019. All rights reserved.